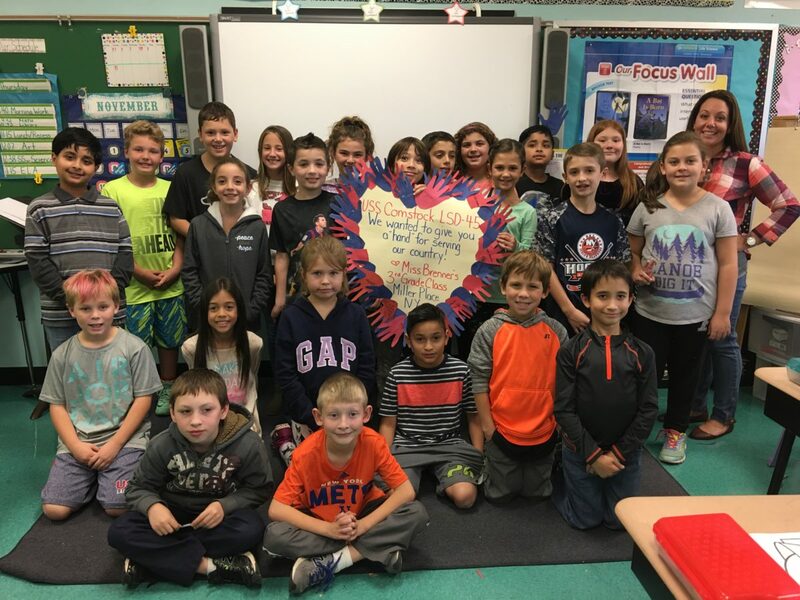 Laddie A. Decker Sound Beach School’s third grade students recently celebrated Veterans Day in the classroom. 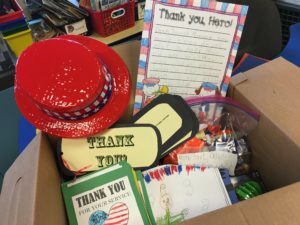 To honor veterans and active servicemen, students created a care package and wrote letters for third grade teacher Allison Brenner’s brother-in-law, and currently deployed Navy Petty Officer, Joseph Monaco. More than 20 students wrote thoughtful letters about the importance of veterans, asked about Petty Officer Monaco’s deployment and experiences and thanked him for his service. Students also included Halloween candy from home, some of their favorite coloring books and activity items and a group ‘Thank You’ poster. Ms. Brenner showed students a picture of Petty Officer Monaco’s ship, the USS Comstock LSD-45, and explained how packages are delivered to currently deployed naval vessels. The purpose of this event was to raise student awareness about what it means to be a member of the military during Veterans Day. This event is part of the District’s initiative to teach students the meaning of Veterans Day and to help them express their appreciation in a creative way.